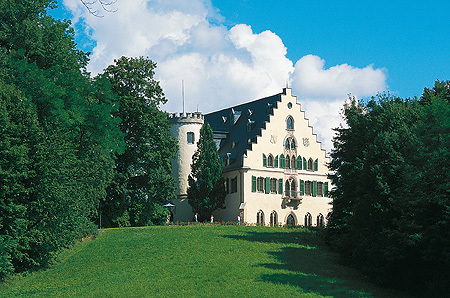 This palace, basically a medieval structure, was rebuilt from 1808 to 1817 in the neo-Gothic style as a summer residence for Duke Ernst I of Sachsen-Coburg-Saalfeld. Particular highlights are the Marble Hall with its three aisles and the residential apartments with their colourful wall decoration and original Biedermeier furniture from Vienna. Among the original structures that have survived in the landscape park with its "Swan Lake" and "Prince's Pond" are the orangery, tea-house (today the park restaurant), Jousting Column (sun-dial) and parts of the hermitage. 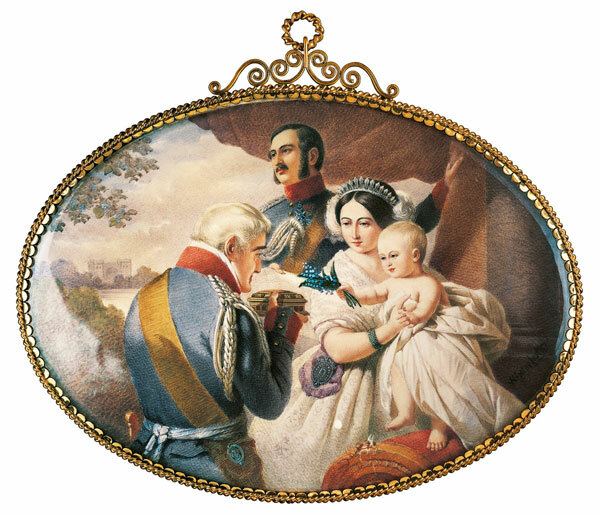 Prince Albert of Sachsen-Coburg and Gotha, who married Queen Victoria in 1840, was born 1819 in Rosenau. The Marble Hall is suitable for concerts, ceremonies and civil weddings up to 120 persons. The Old Orangery is suitable for banquets, ceremonies, receptions and concerts up to 200 persons.